Many different technologies deliver IoT connectivity. Complete IoT systems in commercial environments are extremely complex projects and for reasons of scale, reliability and redundancy, one single technology is rarely enough. Although mixing two or more technologies adds complexity and cost, cellular and mesh promise to be an ideal pairing for many commercial situations. Let’s take a closer look. A wireless mesh network transmits data between nodes on the network, removing the need to connect everything to the internet. 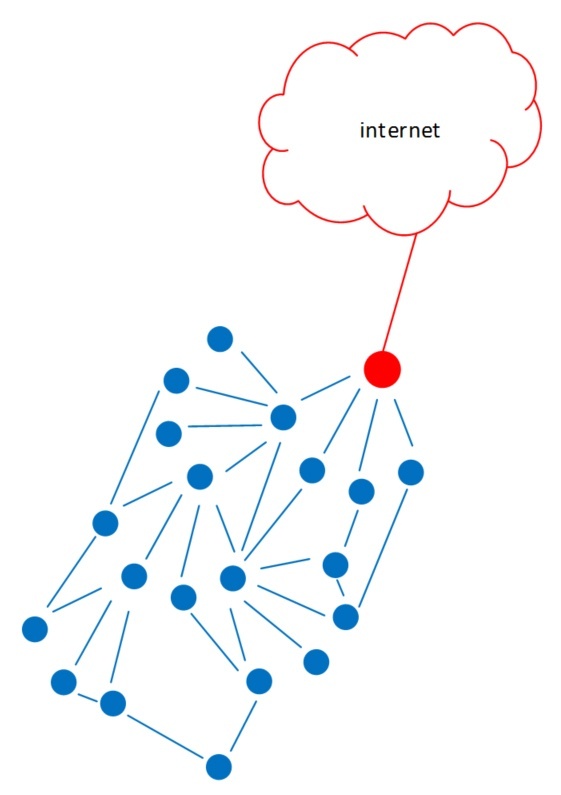 The mesh network is then connected to the internet by way of a gateway device. The idea of using a gateway is a fundamental part of most IoT infrastructure and is of course essential in a mesh network. In every mesh network, there are specific roles defined for those nodes which can act as a gateway, or the interface between the mesh network and another network. One example is the ‘border router’ role in the Thread Mesh standard. The best connectivity option for the gateway depends on various aspects including the application, the QoS, and the ease of installation. Up until now, ethernet and Wi-Fi have been common options. However, the ubiquitous and robust connectivity promised by cellular makes it an obvious choice to help bring external connectivity to large scale and/or remote Industrial IoT mesh networks. The new LTE-M and NB-IoT cellular standards make this even more true. There are many options for gateway technologies, with Wi-Fi currently the leading choice in smart home. Yet cellular could quickly become the obvious gateway choice for an industrial mesh network in many application areas. Those with a high density of devices, a relatively low requirement for data transmission and a desire for low power consumption stand to benefit the most. High density doesn’t necessarily mean small geographic areas. Such a system should function just as well in a highway lighting network or for the electronic shelf labels within a single retail store. In the lighting example, the mesh network would easily be able to detect if one light was malfunctioning and adjust the brightness in adjacent lights passing information between nodes. The cellular gateway connection would then be used to notify the administrator of the problem. Such a solution would be considerably cheaper than installing a cellular chip in every unit. Manufacturing and process plants, sub-metering systems and building automation systems are some of the other potential applications. While it’s clear that mesh and cellular are a good match, combining them is not trivial. For the number of gateways required, a good balance between size of mesh (sub)networks and number of gateways needs to be found. Consider a ten-storey-high building, in which we want to connect the sub-meters in each apartment to a cloud service. Putting cellular connectivity inside every individual meter could be the best solution for QoS, but the cost would likely be prohibitive. A mesh solution with a single gateway could bring that cost right down, but due to coverage and channel availability, one single gateway for the entire building may not be enough. In this case, dividing the mesh network into sub-networks and adding a cellular gateway for each floor could be the most balanced solution. Using cellular gateways is the perfect choice for this specific application, as it removes the hassle of cabling the entire building. Such a solution can also potentially reduce the planning effort typically required by mesh. Adding cellular gateways during rollout and monitoring the connected nodes can enable a real-time planning of the network. As shown in the previous example, cellular stands out as a choice for the gateway technology because it is a plug-and-play solution with few infrastructure headaches. There are no messy cable installations required and maintenance is reduced as the network is maintained by cellular operators. NB-IoT and LTE-M have deep coverage penetration around the world, so they can help to reach remote and difficult areas. It’s also an interesting solution for high-security areas such as airport terminals. Connecting new sensors or feedback systems into an existing high-security wired or Wi-Fi network will likely fall foul of IT security rules. A cellular IoT network would be independent from the high-security infrastructure already in place, and so not pose any threat to existing networks. Cellular is the most ubiquitous infrastructure on the planet. 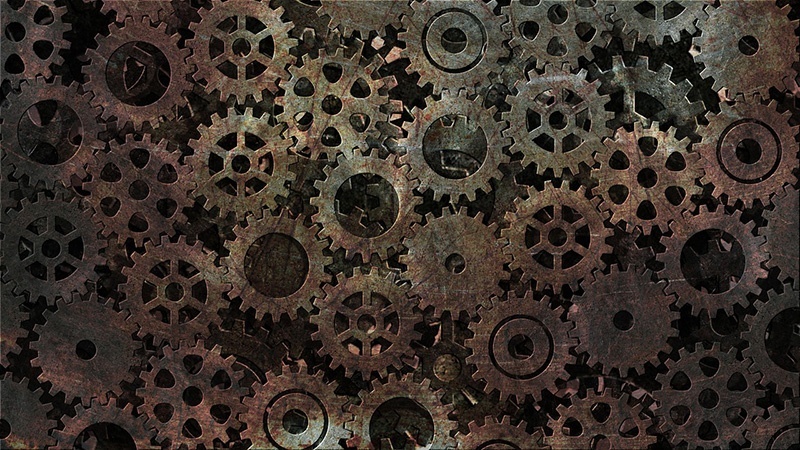 Complementing it with a mesh network finally completes the puzzle of Industrial IoT connectivity.